A very successful musical production! So, it’s been almost a month since opening and closing nights, and it took me that long to recover and get to writing this post! 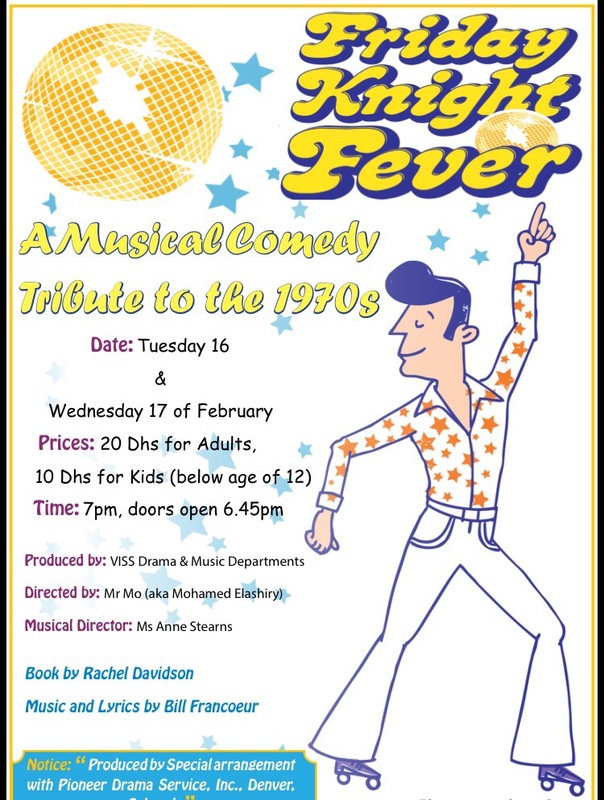 On February 16th and 17th, we had our school musical production ‘Friday Knight Fever’, a comedy musical tribute to the 1970s and, more importantly, a tribute to disco! It was a great team effort! 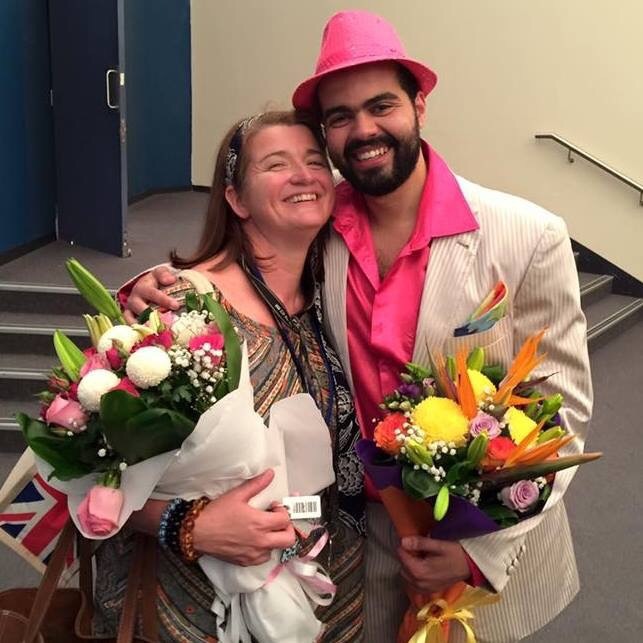 I was blessed with a fantastic musical director, Anne, who I absolutely loved working with! I also loved co-choreographing the show with the lovely Karen! Directing a musical is often daunting for me, but this year’s team made it much easier! 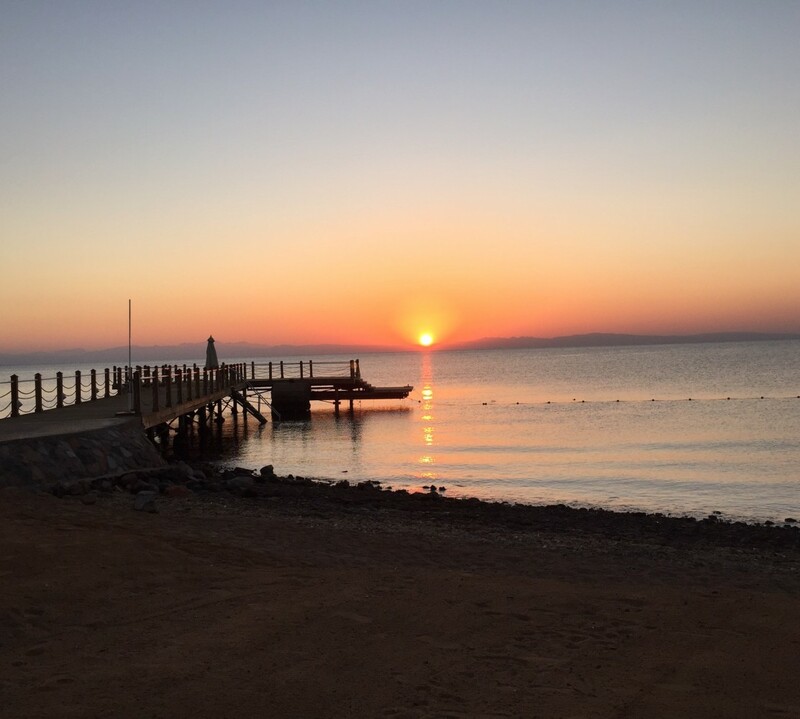 Thank you Anne, Karen, Scott, Lizzy, Tayler, Rob, Paul, Kevin, Jon, and Bill! More importantly, I had a blast working with these students! Oh, and here’s a dance cameo Karen and I inserted for ourselves! Yeah I’m the guy with the white suit, pink shirt, and pink hat with disco lights!